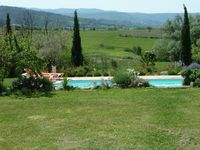 Property 12: Charming 18th Century Country Home with Pool & Beautiful View of the Luberon! 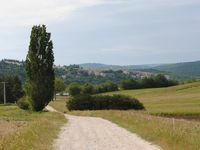 Great place, beautiful setting, great host &amp; great location in Provence. We loved being in the Sault location as it was easy to get to a number of picturesque &amp; historic towns! Sault was colorful, low key and the Wed market was close to the best we've seen in our 2 weeks in Provence! Our apartment was on a farm, roomy and had everything we needed for our stay. Would definitely come again! The On-Line description of this villa -- as a &quot;restored old farmhouse with a lot of charm&quot; -- is a gross understatement! My wife and I, along with three other couples (good friends all) passed an idyllic week here in early September. We had high hopes that the &quot;Villa by Villar&quot; would be everything we hoped for. It was so much more. From the moment we arrived we all understood that this was a very special place -- so beautifully decorated and so meticulously cared for. Christian was welcoming (in a firm but friendly way) and was helpful whenever we needed assistance. Odette even delivered a delicious plum pudding. Your neighbours were so welcoming and generous. We feared we would get lost in this rambling maze of beautiful rooms, including the various sitting rooms, the library and dining areas. The kitchen was completely equipped and a joy to cook in -- which we did often. The patio garden was a place to meet and share early morning breakfasts and late evening meals with copious quantities of local wines and cheese. In the mid-day heat, the pool was a welcome and much used treat. You have created a small perfect point of seclusion and peace where it is so very very easy to simply unwind and let the beauty of the Luberon remind you of how good life can be -- good friends, good food, good wine, and now, good memories to last a lifetime. Thank you very much for sharing your marvelous villa in Les Joumillons.